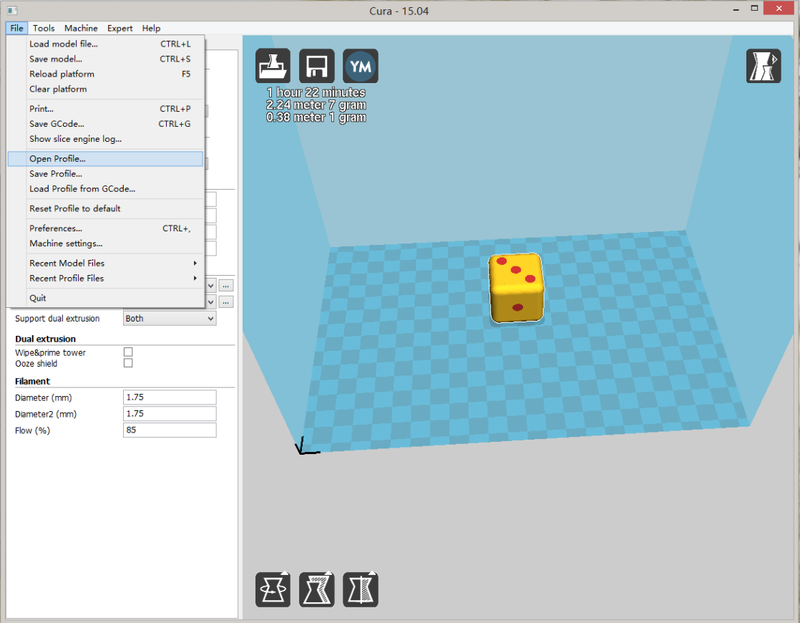 Decompress cura_x3g.zip to Cura plugins directory. Cura is developed by Ultimaker to make 3D printing as easy and streamlined as possible. 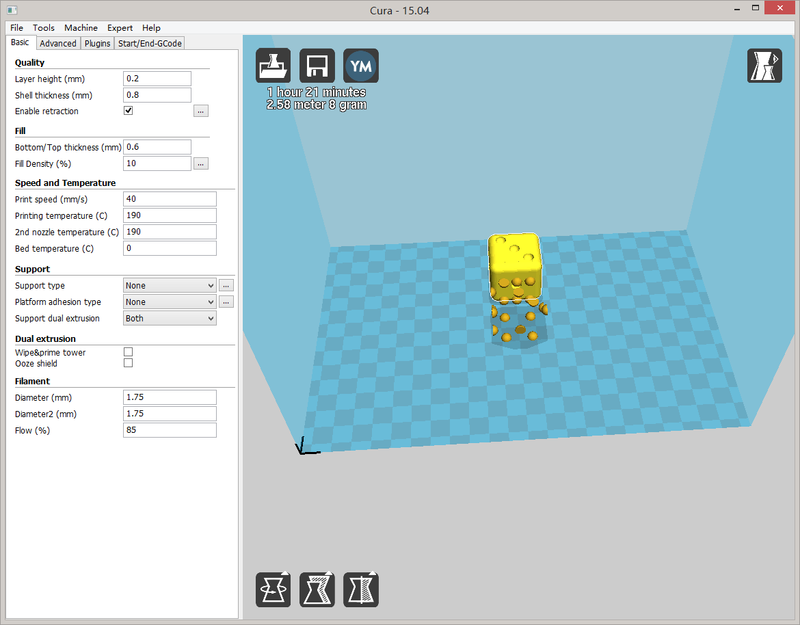 It includes a GUI to prepare a 3D file for printing and generate G-Code. X3G translation plug-ins is required to support Cura on Malyan Printer. Generated x3g file will output to C:/Output.x3g. 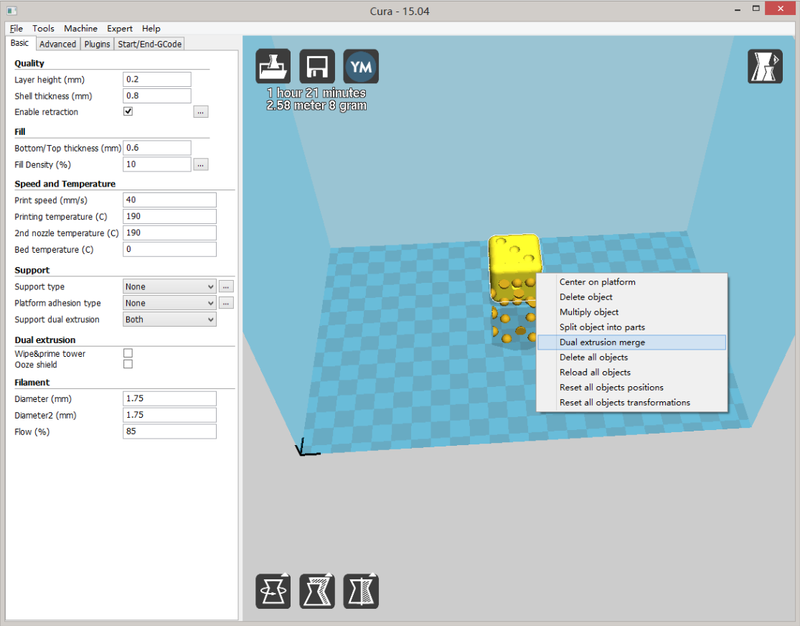 Cura come with a very fast slicing engine named CuraEngine. If using default Makerbot flavor gcode, Command “M135” is used for change extruder. However, CuraEngine does not handle E value (extruder step) correctly. This tutorial will guide you setup proper dual-extrusion profile work with Cura. 1. Download modified CuraEngine (CuraEngine.exe for Windows / CuraEngine for MacOSX), overwrite CuraEngine.exe in Program Files folder. 3. Open both STL file, right click on model and select “Dual extrusion merge”. Two STL object will merge into dual color model.